11 Days Left In Our Kickstarter Campaign! We have been overwhelmed by the scope of interest in the Porteur, including over 30,000 visitors in the last eight days to faradaybikes.com from around the world and nearly 40,000 views of our Kickstarter video. A couple of the Faraday team members were in Portland, Oregon, last weekend to meet with Kickstarter backers and provide test-rides of the bikes. The trip was a great success, and we offer a hearty thanks to Walnut Studiolo and Clever Cycles for hosting Faraday. With a barrage of enthusiastic emails from around the world, Faraday is proud to now offer shipping to Canada and Mexico, and will be accepting reservations on international orders for the next round of bicycles after our Kickstarter bikes have been delivered. If you would like to reserve your place in line for the first internationally-shipped Porteurs, please sign up here. Signing up before August 10th reserves your Porteur for the reduced price of $3,500 USD. International shipping charges are not included in this price. Deposits will be accepted after the conclusion of our Kickstarter campaign. 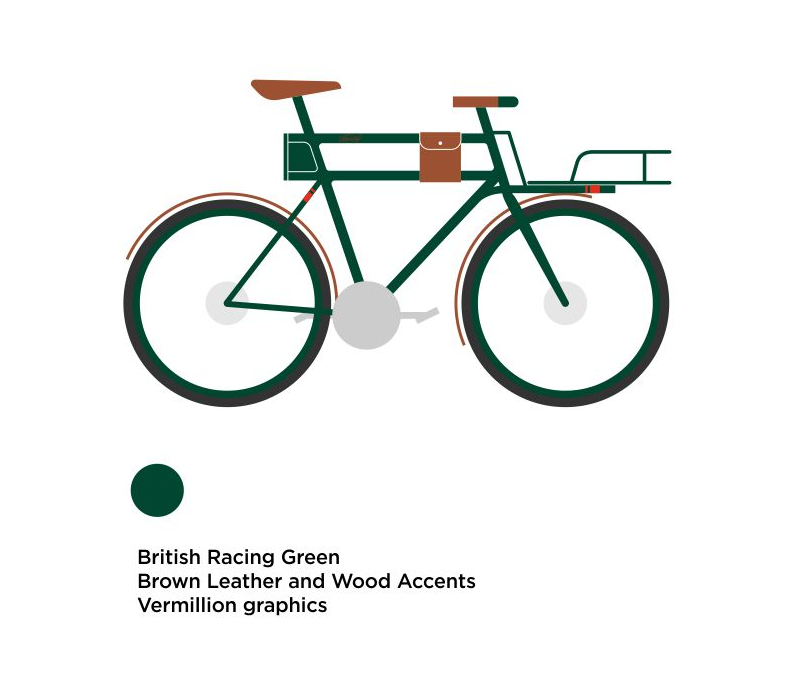 With an overwhelming majority of the vote, the winning color combination is British Racing Green! Thanks to all who voted. We will send all backers a survey for each owner’s size, color, and component preference at the conclusion of the Kickstarter campaign. Thank you all for your enthusiasm, interest, and support. From baby boomers to errand runners, electric bicycles appeal to all types of people. Design lovers especially like riding the Farady Porteur. Over the last few weeks, a lot of you have been asking about our process for designing the original Faraday Porteur with Rock Lobster for the Oregon Manifest design challenge. True to our IDEO roots, we used every bit of the design thinking process and were lucky enough to catalogue the journey with Core77 in the Design/Build Chronicles.